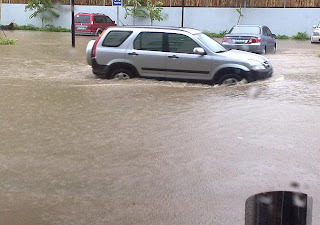 Floods in Metro Manila is a big headache especially for motorists. But what if the flood happens right in the smack of a parking lot? 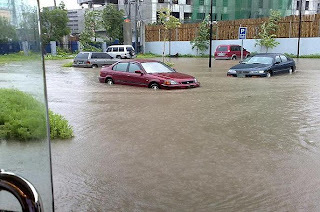 There was a buzz a few weeks ago about parts of Mckinley Hill at the Fort getting flooded specifically the parking areas. This has left a lot of investors thinking. What could have gone wrong? In our further probing, we learned that the problem was along the C5 area where garbage has clogged the main arteries of the city. How would Megaworld, the developer of Mckinley Hill, address this? 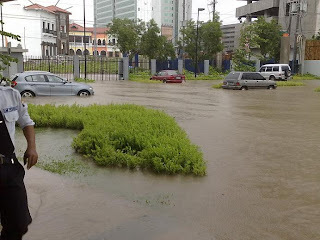 Megaworld is already planning to add new and better drainage. We're fervently hoping that this get addressed promptly.